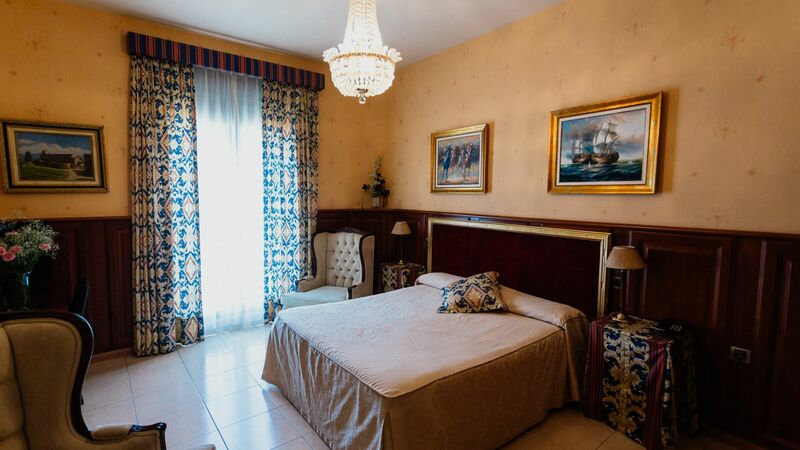 Hotel Camprodon is a neoclassical family-run hotel, fully renovated while retaining its historical charm. Located in the heart of the village of Camprodon, with beautiful views on the river Ter and the Pont Nou (new bridge), Hotel Camprodon will give you the peace and quiet that you are looking for. Come enjoy our pool, terrace and garden any season! 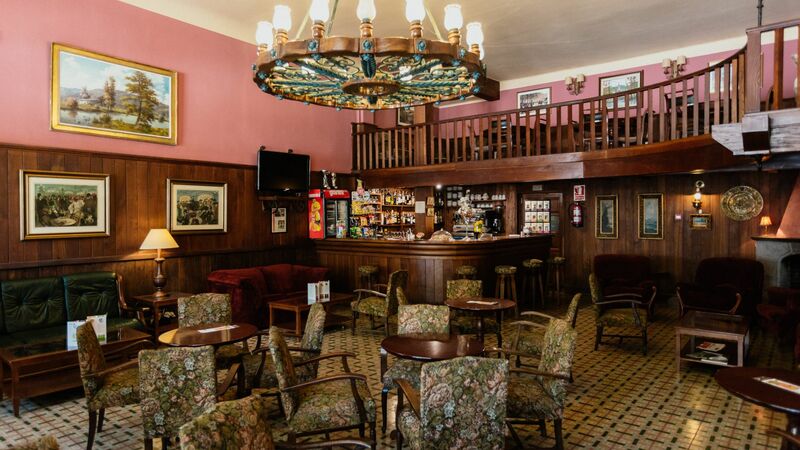 Enjoy the Pyrenees at their most authentic at Hotel Camprodon. Comfortable room, equipped with all services. 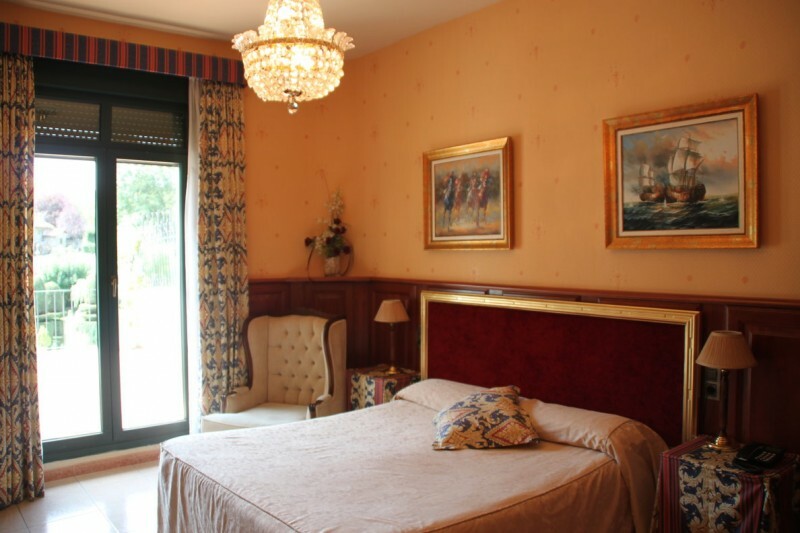 Standard double rooms have window or balcony overlooking Plaça Doctor Robert, in the center of Camprodon. The Superior Rooms with Terrace are spacious and perfect for a relaxing holiday in Camprodon. From their terrace on the river Ter you will enjoy nice views of Camprodon and the mountains surrounding. Hotel Camprodon offers free WIFI in all rooms and hotel premises. Enjoy your break while you are still connected to your loved ones. 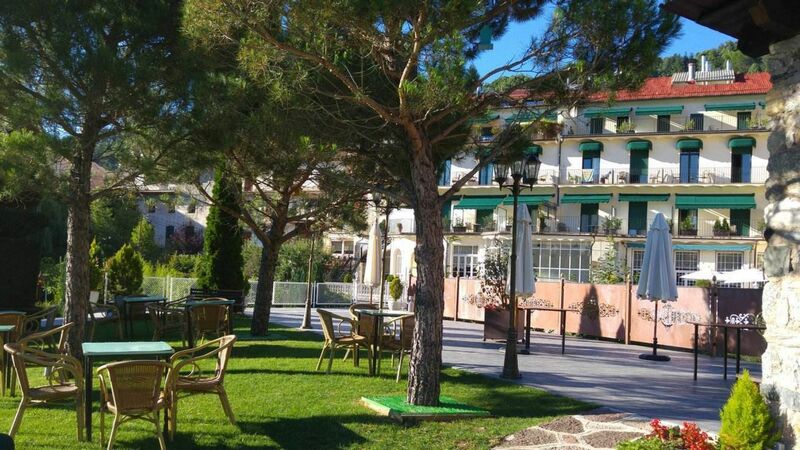 Our garden, surrounded by the Pyrenees, is an ideal spot for the little ones to run and play safely while you relax on our terrace. In the summer, you can also relax in our pool. We proud ourselves in offering you personalized and friendly attention. We love our hotel and our town, which is why we will help you choose which services suit you best, and which activities to do in the area. Our hotel has wheelchair-friendly rooms. There are ramps for accessing the hotel and unimpeded access to the garden and outdoor relaxing areas. Booking directly on our website has many advantages! -	Priority in choosing your room. -	Modify or cancel your booking without hassle. 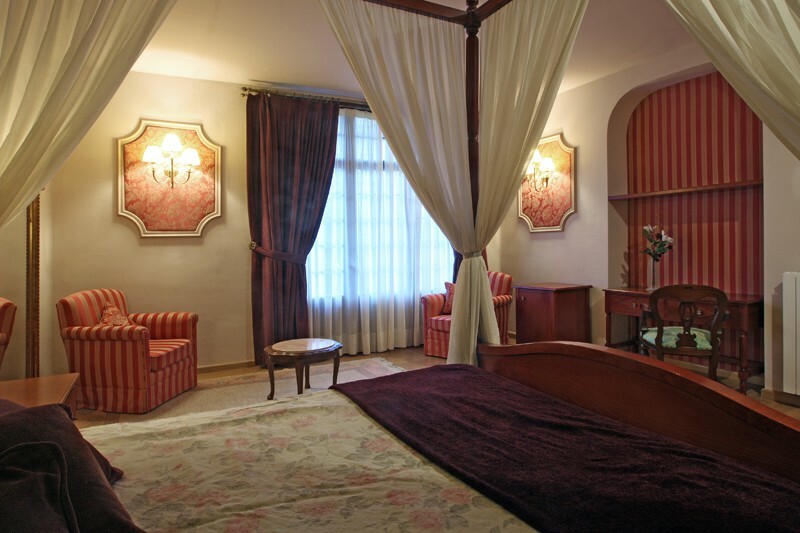 Hotel Camprodon is a charming hotel. Of unique and exceptional Art Nouveau style, the hotel still preserves the original modernist dining rooms, with their original multicolored stained glass windows. The hotel’s different areas will transport you to a historical place that invites to relaxation and welcomes you with open arms. 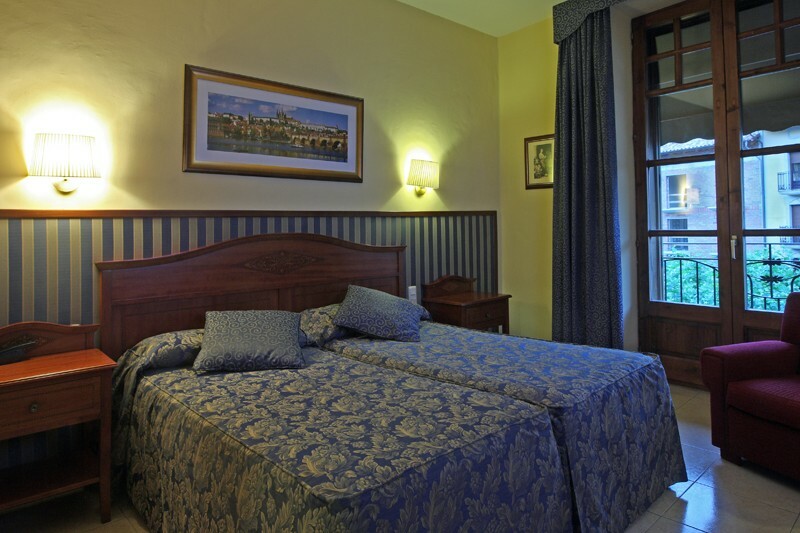 Hotel Camprodon is a family-run hotel, ideal for families with young children. The spacious garden is perfect for them to run and play safely while you relax on your own. Besides, since it is located in a small mountain village, Hotel Camprodon is close to anything you and your family may need during your holidays in the Pyrenees. Camprodon Hotel is centrally located in the village of Camprodon, in the heart of Camprodon Valley. The richness of the valley lies in the diversity of natural resources and heritage: Camprodon Valley, in the Pyrenees, is pure nature. In addition, the valley is full of charming villages within easy reach, as Mollo, Setcases or Beget an exceptional Romanesque heritage. Camprodon is located in the mountains of the Pyrenees, close to ski Vallter 2000. During the winter months, there you can practice skiing, ski or snowshoe outings. For children there is a children's play park walking tracks. In summer, these mountains are the ideal place to hike, all the difficulties, both for families with children and experienced hikers. Camprodon has always attracted tourists, and therefore hosts events that gather many visitors all-year-round. Do not miss the weekly Sunday market in Plaça Doctor Robert, opposite Hotel Camprodon. During Easter, Camprodon has hosted the well-known procession of the Holy Mysteries for 30 years. 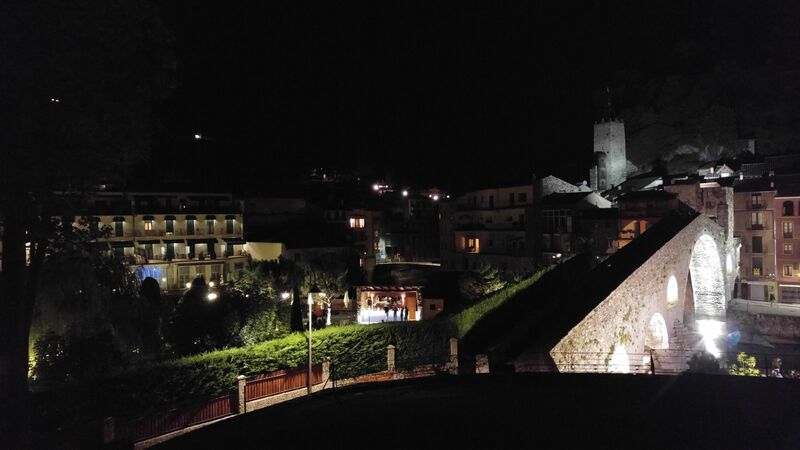 In the summer, concerts, craft fairs and festivals fill the streets of Camprodon and the other villages of the valley, with major events such as the Festival Isaac Albéniz, Festival de la Vall de Camprodon, or the Cheese Fair in the fall. Book your stay now at Hotel Camprodon! Do you want to receive information about promotions at Hotel Camprodon and events in the area? How to reach Hotel Camprodon?